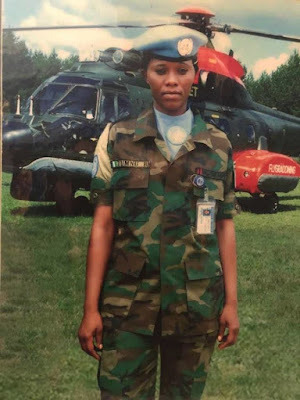 A female Nigerian soldier has died after being involved in a fatal road accident. The late soldier identified as Corporal Chabathiya .A. Sunama reportedly died in a fatal car accident along Port-Harcourt/Lagos expressway. According to a relative who shared the sad news on Facebook, the friendly and cheerful combatant officer survived a bomb blast in Maiduguri, Borno state which affected her some years ago and also escaped a serious attack by unknown persons during her wedding in Port-Harcourt, Rivers state. Her husband who was also involved in the accident is said to be responding to treatment.